Dr. James Francis Shober was an African American doctor and the first known black physician to practice in North Carolina. Shober was born on August 23, 1853, in or near the Moravian town of Salem (now Winston-Salem), North Carolina. Shober’s father, believed to be Francis Edwin Shober, was successful white businessman and politician in the Salem Moravian community who served in the North Carolina state legislature and the United States Congress. Francis Shober earned his law degree at the University of North Carolina in 1851 and was a co-founder of the first Sunday school in the state. Meanwhile James Shober’s mother, Betsy Ann Waugh, was a mulatto slave who was only eighteen years old when Shober was born. Betsy Ann, who lived in Salem, passed away in 1859 when Shober was between the age of six and seven. He was sent back to the Waugh Plantation near Waughtown, North Carolina, where his grandmother lived with other family relatives. It is unclear how Shober obtained schooling when he was a child. In 1875, however, at the age of twenty-two, he graduated second in his class, with a grade average of 95.5, from the Lincoln University in Oxford, Pennsylvania. He received an A.B. degree. Shober then enrolled in the Howard University School of Medicine in Washington, D.C. where he was one of forty-eight graduates in 1878. There were only a handful of licensed black doctors across the United States following the Civil War. 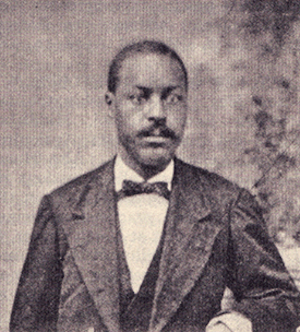 Shober now joined those ranks in 1878 and became the first professionally trained black physician in North Carolina. He set up his practice in Wilmington, North Carolina, then the largest city in the state. Wilmington also had a sizeable African American population. Shober married Anna Maria Taylor of Wilmington on June 28, 1881, and the couple later became parents of Mary Louise and Emily Lillian, both of whom went on to graduate from Fisk University in Nashville, Tennessee. Anna Marie Taylor Shober was an educator who taught at the Peabody School in Wilmington. James Francis Shober passed away on January 1, 1889, at the age of thirty-six and was buried in Pine Forest Cemetery, Wilmington. He was survived by his wife and daughters. Ben Steelman, “James Shober, North Carolina Doctor,” http://www.aaregistry.org/historic_events/view/james-shober-north-carolina-doctor; William S. Powell, “Shober, James Francis,” http://ncpedia.org/biography/shober-james-francis; Elizabeth Reed, “James Shober” in, Find A Grave- Millions of Cemetery Records and Online Memorials, http://www.findagrave.com/cgi-bin/fg.cgi?page=gr&GRid=23080615.